If you love Cabernet Sauvignon like we love Cabernet Sauvignon, you will not want to miss this tasting. Following on the spectacular Napa Cab tasting we did last season, this week we will tour Washington state in our continuing quest to discover all that there is to love about this grape. The price for the high quality of Washington cabs is unparalleled. 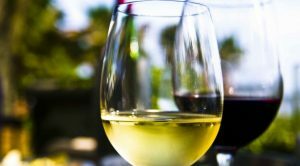 It has become one of the dominant grapes of the state where more than 70,000 tons is being produced, and they have the highest percentage of wines scoring over 90 points by the wine critics of any region. Join us as we taste our way through the valleys of Washington with our cab glasses in hand. rsvp by Thursday, April 11. DUE TO WEATHER, WE WILL POSTPONE THIS TASTING UNTIL MARCH 16. On Mach 27, 2004, something special happened in the basement level of the Black Building in downtown Fargo. My friend, Mike Jore and I, organized our first meeting of the Red River Valley American Wine Society. That tasting drew a dozen or so interested folks who assembled to learn about and taste the Syrah grape. Since that fateful day in March, we have met over 160 times to learn about and enjoy this wonderful thing we call wine. Wine appreciation through education is our mission and that continues today stronger and more fun than ever. Join us on Saturday, March 9 as we celebrate our anniversary and continue our tradition of education and tasting as we explore the world of Petite Sirah. 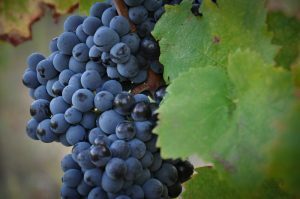 First planted in the 19th century in California, the petite sirah grape was a mystery for a very long time. It wasn’t until 1997 that the grape was identified as being genetically identical to the durif grape in France. Petite sirah was long used as a blending grape for what was known as ‘Burgundy’ in California. The grape grows as small, compact berries with a very high skin-to-juice ratio that results in an almost inky-dark color and high tannins. This allows petite sirah to have a great aging potential. As a stand alone varietal, petite sirah in California outshines its twin in France. It produces a relatively acidic wine with herbal and black pepper components complimenting the dark fruits. We will be exploring wines made from this grape sourced from around the world. You may call it Mouvèdre, Mataró, or Monastrell, but we like to call it mighty good. That’s because its thick skins, prominent tannins and dark color make for powerfully rich, earthy and savory red wines. It is often used as a blending grape in the Rhone Valley of France where it meets Syrah and Grenache found in the famous Chateauneuf-du-pape wines. 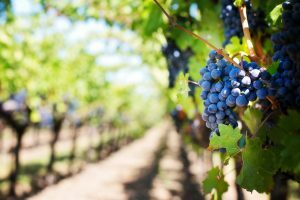 It is also grown extensively in the Jumilla region of Spain, Barossa and McLaren Vale regions of Australia and now in most of the wine regions across the new world. Join us as we meander our way through a world tour of Mouvèdre. 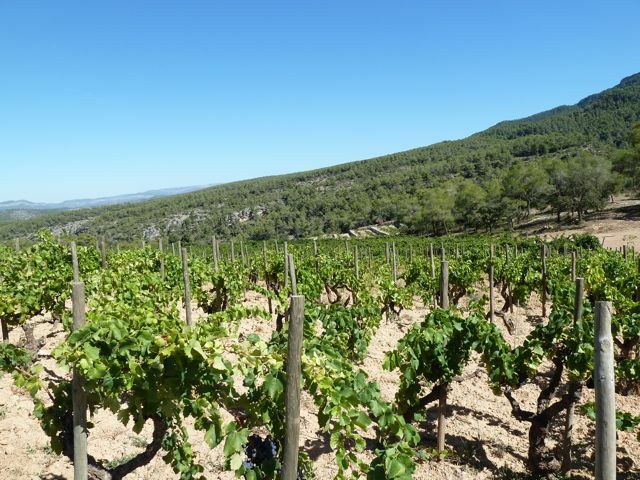 You may know of Spain’s famous Rioja and Ribera del Duero wine regions but there are many other areas that produce world class outstanding wines. This month we will travel to the northeastern part of Spain and enjoy the grapes of the area. While you will certainly want to come for the wine, you should also come for the Paella de Carlos™. Last month’s Napa Cabernet wine tasting was certainly a tour de force of wine experiences. But our World Tour of Cabernet Sauvignon does not stop there. This venerable grape is grown throughout the world and expresses in unique ways. Next we will be heading down under where we will visit amazing grape growing regions along the south western coast of Australia. Powerful and luscious cabs from the moderate climates of Barossa Valley and McLaren Vale provide plush deep flavors with soft tannins. In Coonawarra, rich red terra rosa soils and and a warm to hot climate provides for great ripening to bring down those bell pepper flavors. And Margaret River provides a good balance of hot daytime temperatures and cooler evenings that lowers the acidity and reaches depths of ripeness other regions do not. Join us on Saturday, September 8 as we explore the Cabernets of Australia. 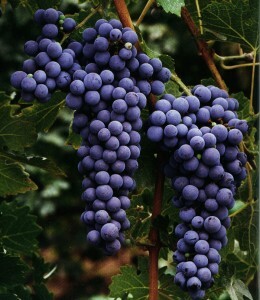 Cabernet Sauvignon, the offspring of Cabernet Franc and Sauvignon Blanc, is a classic Bordeaux grape. But, arguably, Napa Valley has become the king of cabernet sauvignon wines. Recent years have produced some truly outstanding vintages in the Napa Valley. Join us for an experience you won’t soon forget as we taste our way through some amazing Napa cabernet sauvignon wines. Please rsvp by Thursday, August 9. 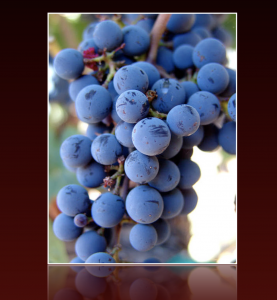 Zinfandel has a long history in America. It was brought to New York in 1820 by a fellow named George Gibbs from cuttings he obtained in Austria. By the 1850’s the grape was being cultivated in nurseries and made it’s way to Napa and Sonoma valleys. 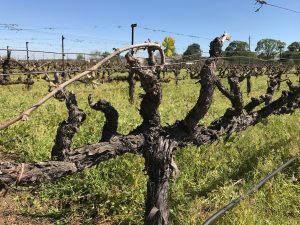 It once was the most planted varietal in California and made it’s way into most of the red “jug” wines that dominated in the middle of the 20th century. It has become adopted as an American grape. It is also the same grape as Primativo in Italy and both trace their roots to beginnings in Croatia. My, how this grape has grown up. California is riddled with century old zinfandel plantings with gnarly trunks that produce some spectacular wines. Please join us for an evening of zinfandels that are true to delight all palates. This tasting will be hosted at 4e Winery. Please note that we will be starting one hour earlier than normal. From the stony cliffs of Corsica to the valleys and plateaus of Lebanon, the wine regions around the Mediterranean Sea offer a unique variety of soils, climates and grapes. Join us as we tour the Mediterranean in search of fine wine and fun times. We will visit the islands of Crete and Sicily and make a stop in Israel along the way. If there is enough interest, we will charter a bus to the event. The cost would likely be $15-$25 per person depending on the numbers. We anticipate the bus would leave from a Fargo location around 5:15 pm and return around 10:00 pm. If you would like to ride the bus, please register at THIS LINK by Wednesday, June 6. Babich, Valdiguie, Sagrantino, Bobal. These are just a few of the obscure grapes we will explore at our next AWS wine tasting. While we are most familiar with a handful of vinifera grape varieties for wine (e.g. Cabernet Sauvignon, Chardonnay, Pinot Noir), there are over 10,000 different grape varieties for wine. 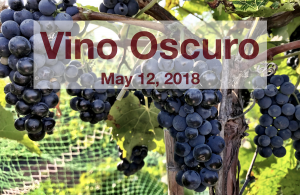 Join us on Saturday, May 12 to experience some of these lesser known more obscure varieties. rsvp by Thursday, May 10. 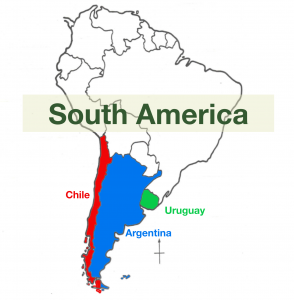 With the arrival of Spanish missionaries to South America in the 1500’s came the wine industry. While the wines of South America today bear little resemblance to the wines of the 16th century, the history and culture is infused in their extraordinary wines. In the 19th century, French agronomists introduced classic European varieties such as malbec, carménère and cabernet sauvignon. Thus, there is a rich array of tastes to explore. Join us as we travel to Chile, Argentina and Uruguay to discover the flavors of the south.